Beaducation: The Blog: New Products To Love! Boy, have we added some cool new stuff in the last few months?! Our product manager, Mel, and I have the fantastic duty of hand-selecting -- and sometimes designing -- all of our new products. It's the best part of our jobs! Let's take a look at some of the new goodies that we just know you are going to want to try. 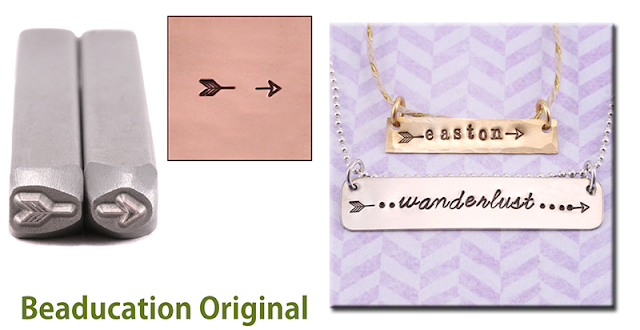 Imagine what you can do with the arrow and fletching split up into two stamps! The design ideas are endless! 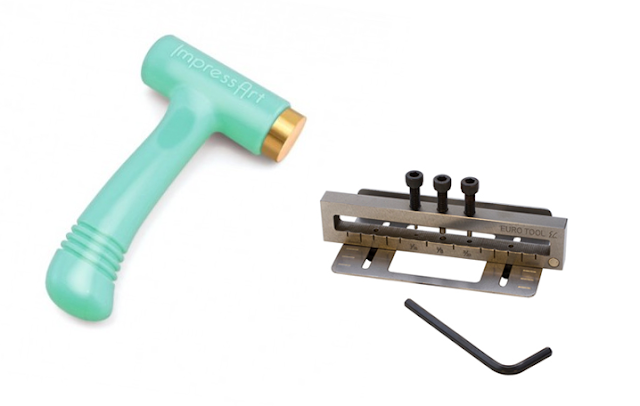 We are always on the lookout for tools that will improve your stamped metal projects. These two are a "must add" to your tool box. The ergonomic hammer was built with stampers in mind. Its brass head is replaceable and the head is angled specifically for stamping while sitting down. This hole punch is my new favorite, when I saw it I yelled to Mel, "Yessssss!" Not only can you punch clean holes in 3 sizes, you can adjust the backplate to get your holes deeper than you can with a hole punch plier and/or get them them in the exact spot each time! 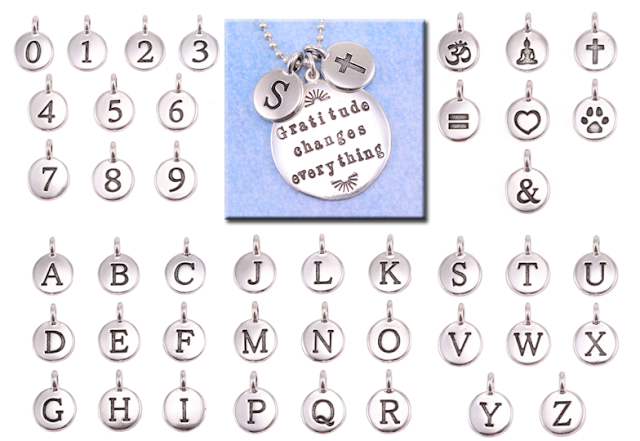 These silver plated pewter charms are an ideal complement to your stamped jewelry. Their hole size is perfect to slide right onto a chain. The fine silver plating is extremely durable and they are made in the USA (right here in California, in fact)! Last but not least, we have to mention these great new design stamps. The popularity of stamping on stainless is rising rapidly so we now offer five designs (and more to come) of stamps specifically manufactured and rated to impress into stainless steel. These are also made in the USA!